Refine and refresh your skin with skinChemists London Anti-Ageing Charcoal Pore Peel Mask, a 15 minute peel-off mask that delivers cleansing and anti-ageing benefits. 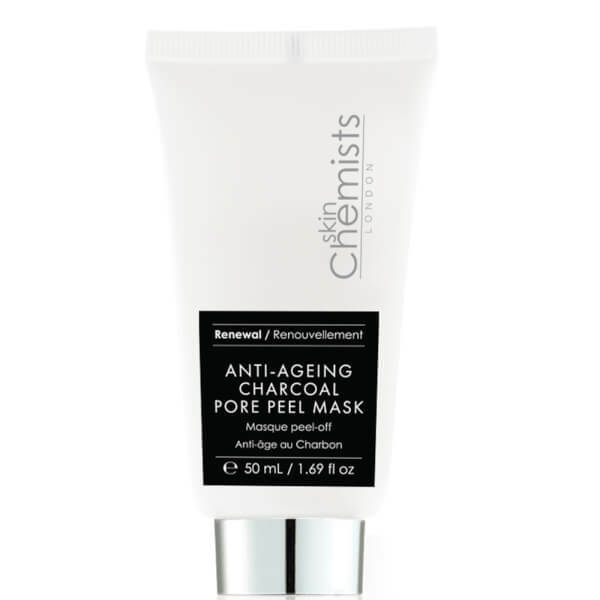 Helping to eliminate blackheads and dulling dead skin cells, the mattifying mask contains Bamboo Charcoal Powder to absorb excess oil, draw out impurities and mattify the complexion, plus extract of White Peony Root to inspire a more even skin tone. Gently cleansing and exfoliating, the mask will help to minimise the appearance of pores while refreshing and protecting skin with antioxidants. 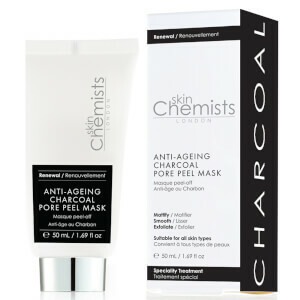 Expect a smoother, refined and youthful-looking complexion. Apply a thick, opaque, even layer to clean, dry skin. Avoid eye area, eyebrows, hairline and lips. Leave on for 15-20 minutes or until completely dry. Gently peel off the mask from outer edges and rinse off any residue with warm water. Use once or twice a week. Aqua, Polyvinyl Alcohol, Alcohol Denat, Glycerin, Bamboo Charcoal Powder, Hydroxyethylcelulose, Phenoxyethanol, Ethylhexylglycerin, Propylene Glycol, Paeony Albiflora Root Extract, PEG-75 Lanolin, Parfum, Sodium Lactate.